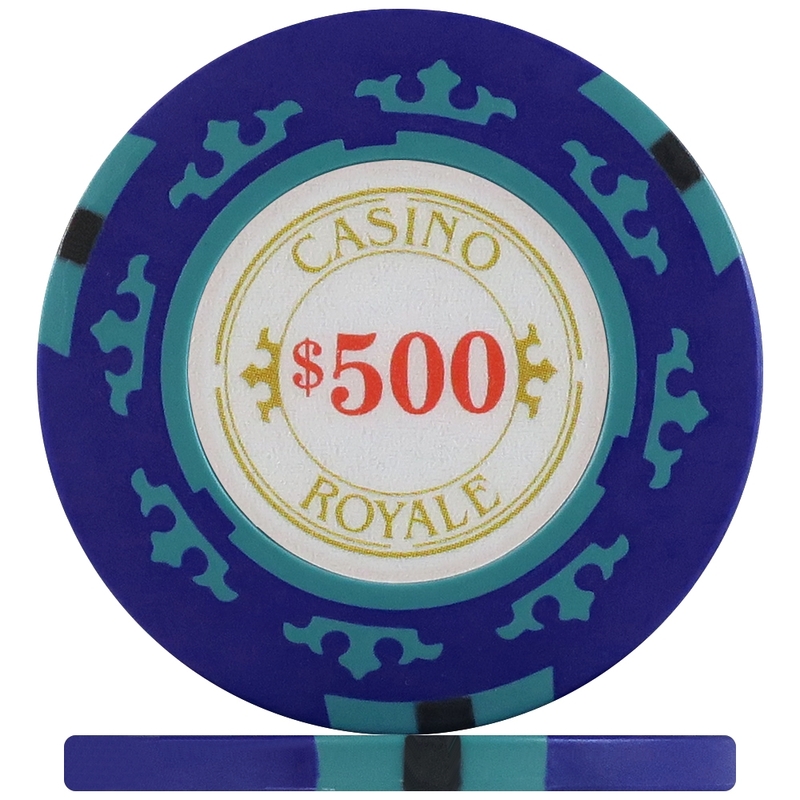 Notify me when " Casino Royale Poker Chips - Blue $500 (Roll of 25) " is back in stock. Each chip has an embedded number $500 decal on both sides. These unique Crown Casino Royale 14g Poker Chips in Blue with value $500 are a new addition to our range and exclusive to Premier Poker Chips - You won't find them anywhere else! !